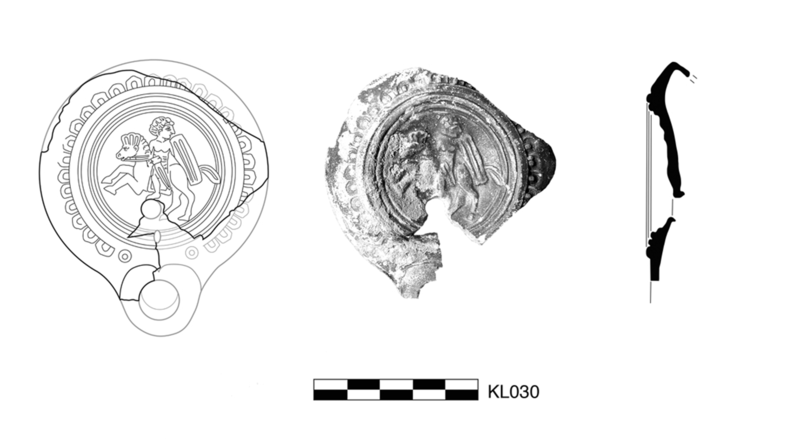 Circular discus has filling hole lower middle, figural relief, and three rounded framing rings. Relief shows Celtic warrior with thick hair, bare chest, loincloth, and rectangular shield turning back to right, mounted on horse with thick mane rearing to left. Sloping shoulder has ovules and double circles on either side of nozzle. Heart-shaped nozzle. No handle. Fabric: 7.5YR 8/6, reddish yellow. Slip: 7.5YR 4/2, dark brown. Early Roman Italian fabric. Semilustrous to lustrous, thick, even slip on exterior and dripped into interior. 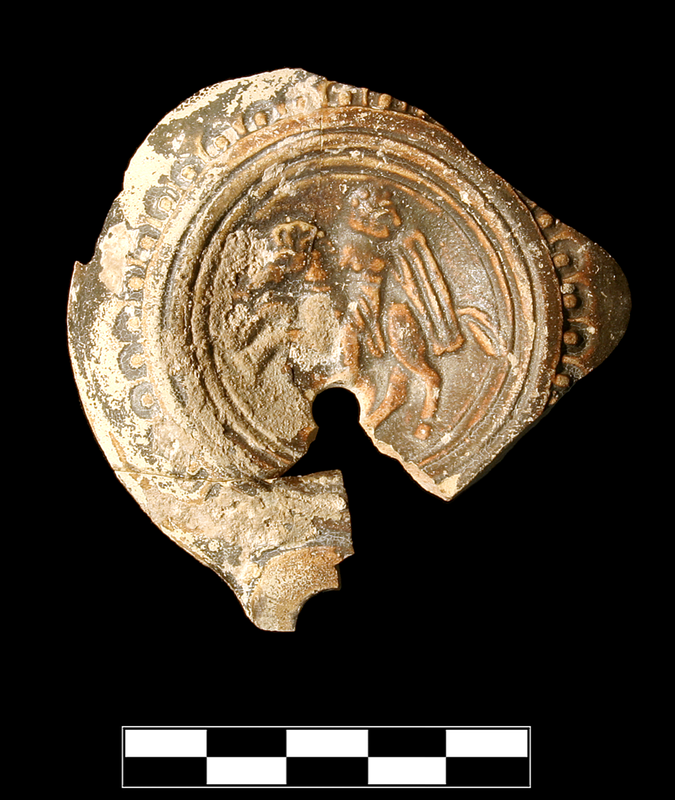 Three joining sherds preserve almost entire discus, two thirds of shoulder, and small part of nozzle. Slight, very sparse abrasion; slight, somewhat extensive encrustation on shoulder.